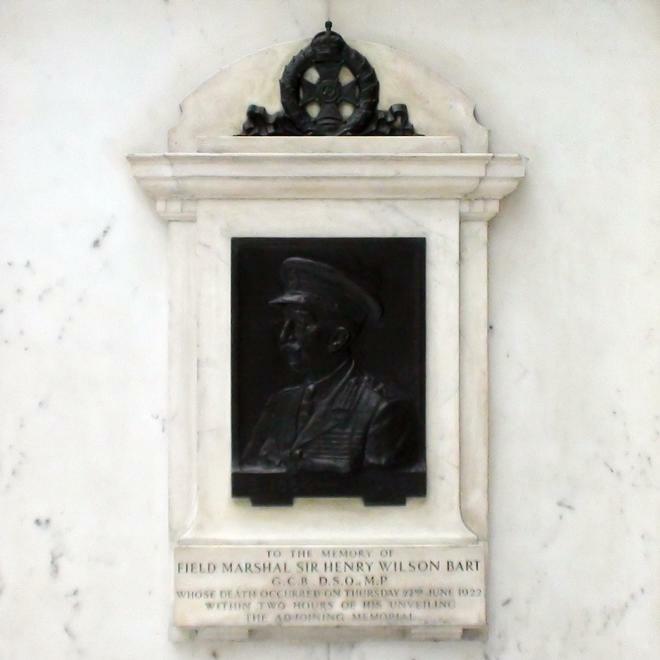 To the memory of Field Marshal Sir Henry Wilson Bart. GCB, DSO, MP, whose death occurred on Thursday 22nd June 1922, within two hours of his unveiling the adjoining memorial. The memorial he had just unveiled before his death is the main war memorial, not the one to Fryatt.